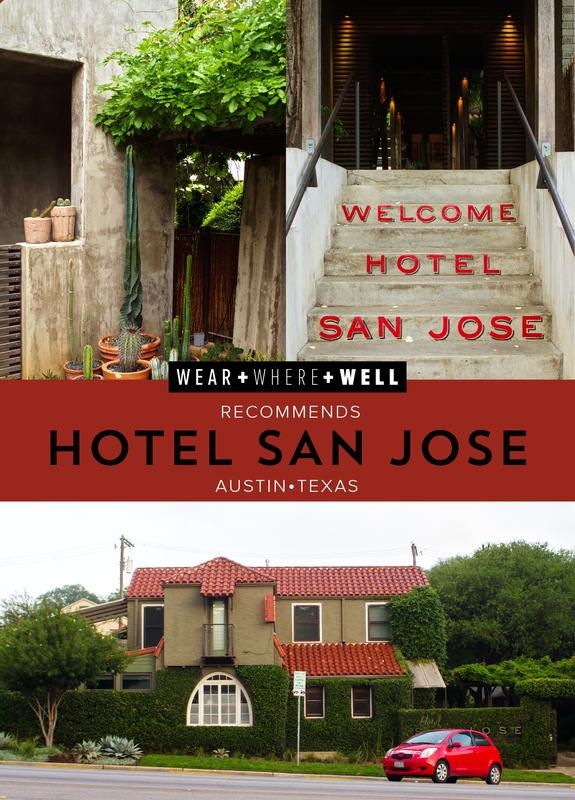 Hi there – Welcome to the first installment of a new, ongoing series titled “Wear + Where + Well Recommends…” Today, Wear + Where + Well recommends Hotel San Jose. As you’ve probably noticed, we are working very hard to bring you more informative, helpful travel-related content. While we will continue to provide in-depth guides like the Austin South Congress guide and yesterday’s Beginner’s Guide to the Kentucky Derby, we also want to shine the spotlight on institutions to which we are really drawn. 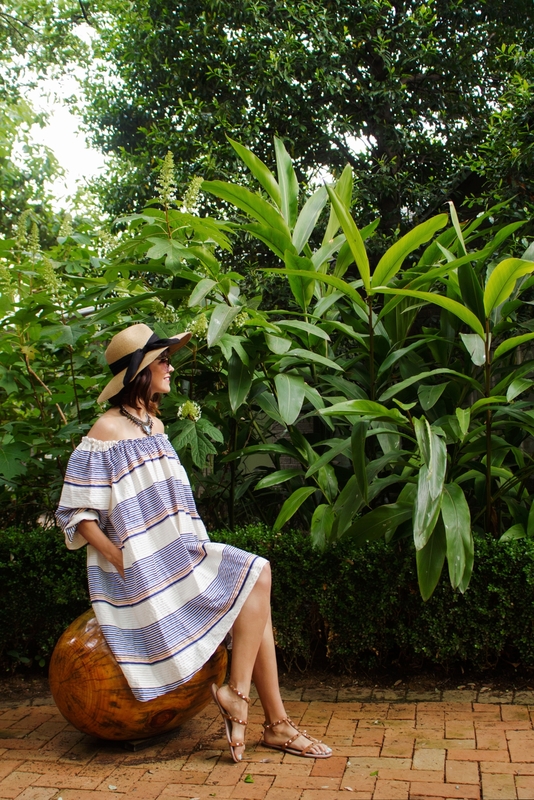 If you read our Austin South Congress travel guide last week or read this article on the 23 best off-the-shoulder dresses, then you have already seen the beautiful property that is Hotel San Jose. Bunkhouse is committed to providing more than just a good night’s sleep. Founded on the pillars of community and music, the group aims to provide authentic, memorable, soulful experiences that earn the loyalty of all who experience it. 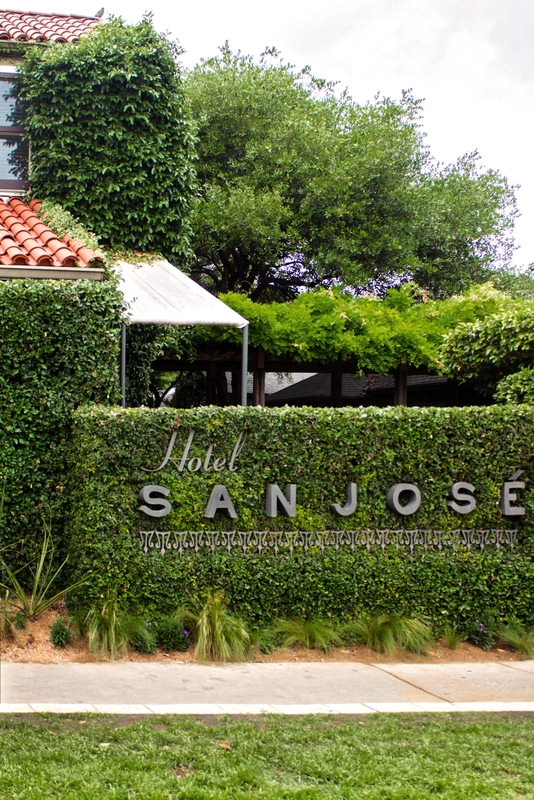 In the spirit of being authentic to locale, Hotel San Jose is quintessentially Austin. 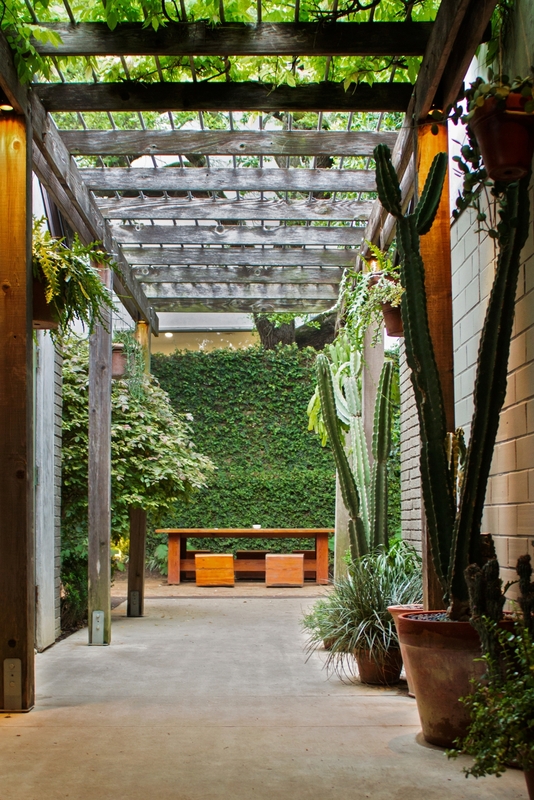 The 40-room boutique hotel is hidden from bustling South Congress avenue behind ivy-covered stucco walls. 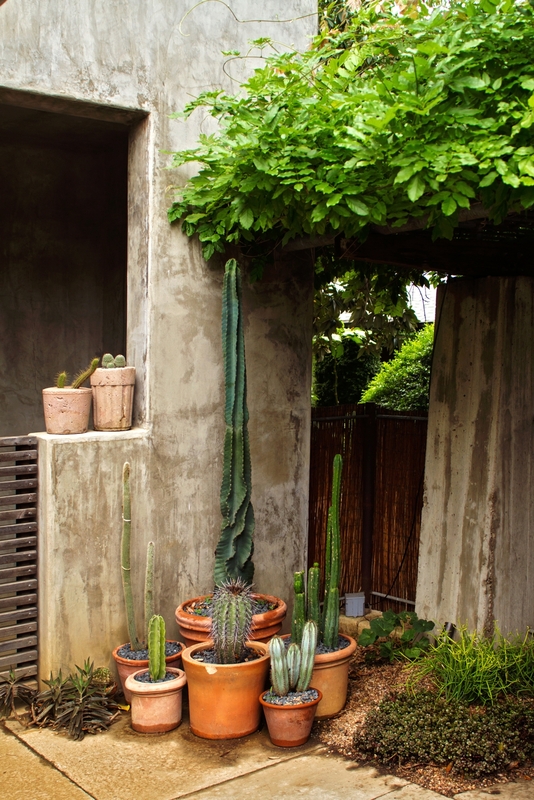 Within those walls, you’ll find a lush landscape. Granite pathways connect the garden courtyard to the guest rooms. The pool hides among black bamboo, providing a welcome respite from the Texas sun. 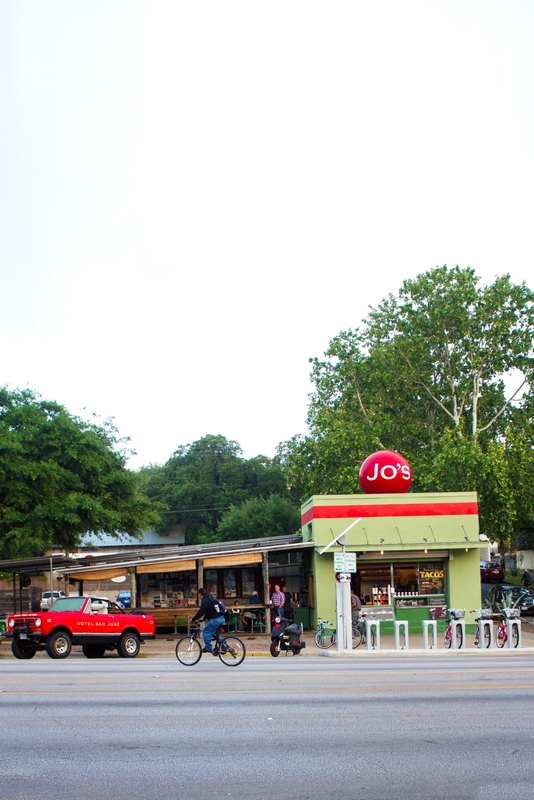 Step outside those stucco walls, and you are immediately among the best of South Congress avenue. 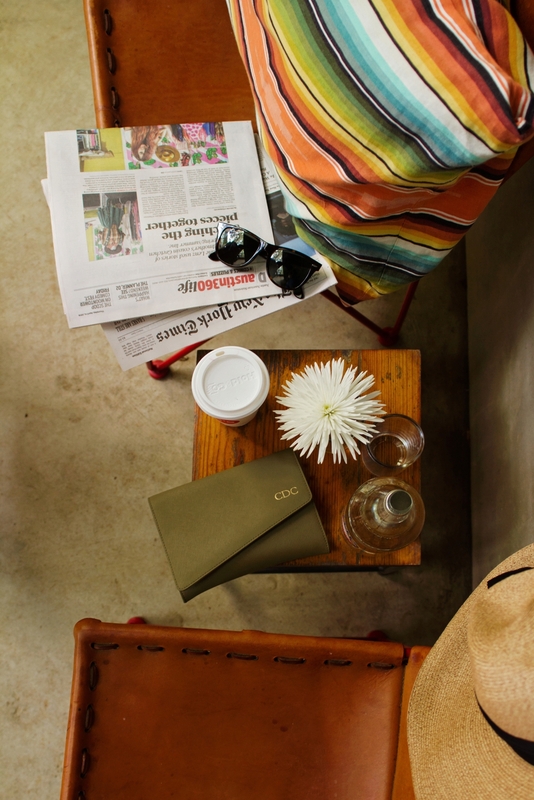 Our favorite spots on the iconic, eclectic street are highlighted here. 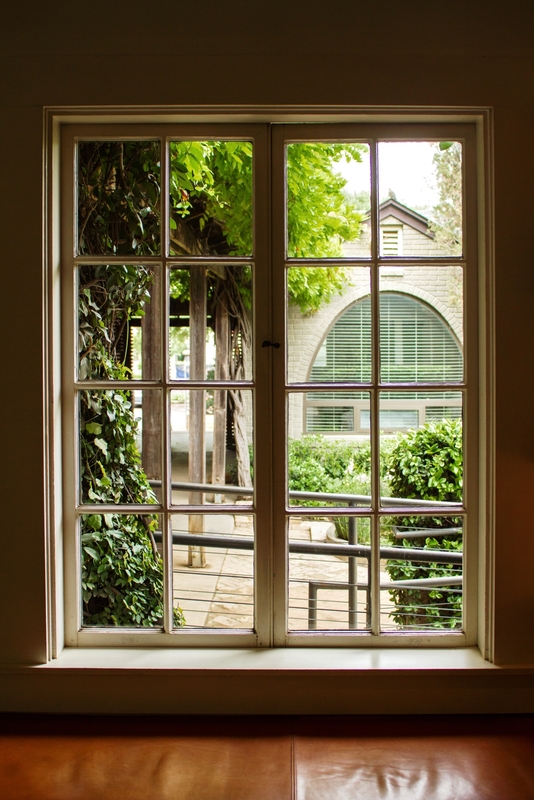 If you wish to explore more of Austin, you can do so easily. You’re only minutes from downtown Austin, the University of Texas campus, the state Capitol, and more. Besides the property being historical and beautiful, the rooms themselves are elevated by all the special little touches. 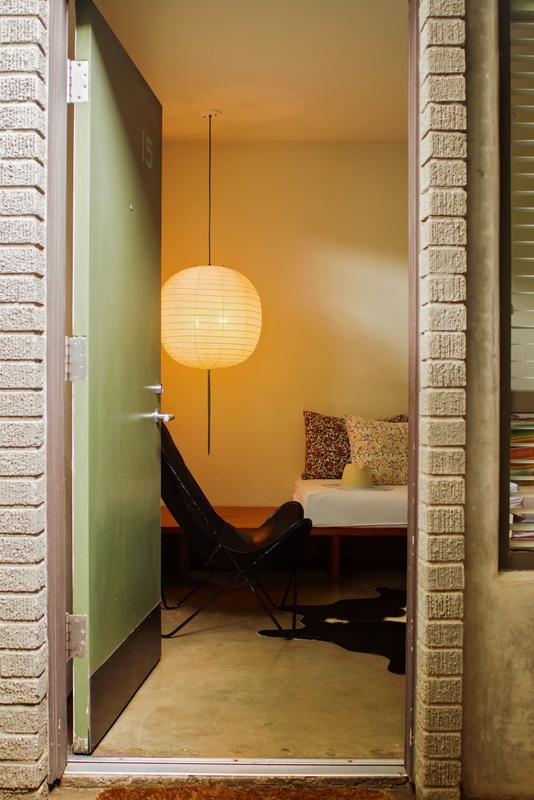 The retro, minimalist style allows room to breath. 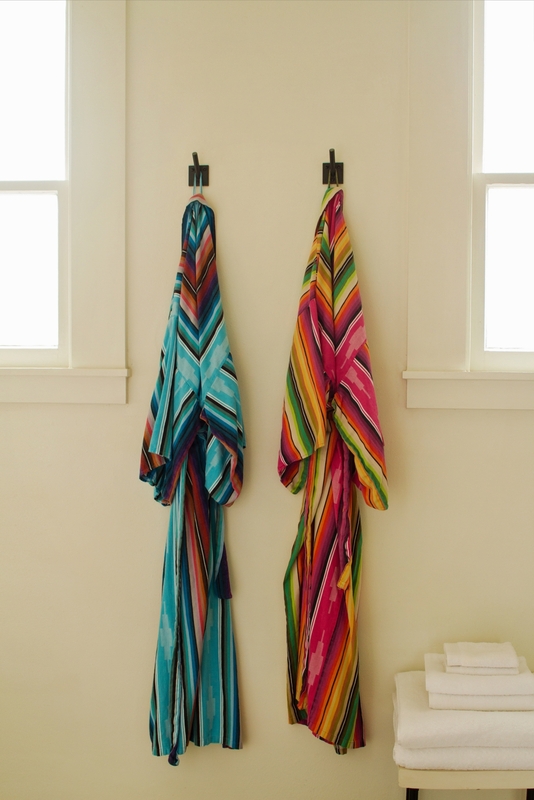 Beautiful kimono bathrobes, colorful blankets, Malin + Goetz bath amenities, plus a mini-bar stocked with locally curated good, and more make the stay especially memorable. Additional amenities include bike rentals, pet-friendly, on-property bar and snack foods, room service, and everything else you’d expect from a top-notch property. But Hotel San Jose offers two amenities I’ve never seen elsewhere: a vintage typewriter and a Polaroid camera, both available to borrow on request. If that’s not charming, I don’t know what is! 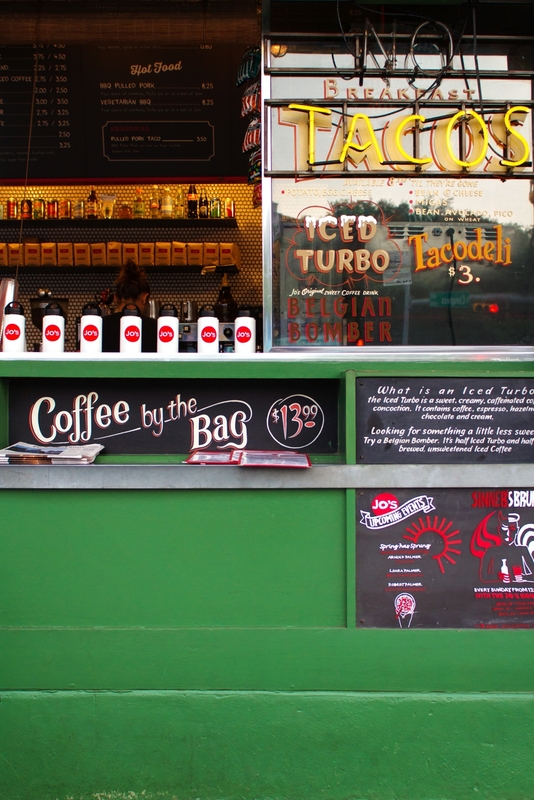 Next time you’re in Austin, try it out! I think you’ll fall in love with the unique experience. 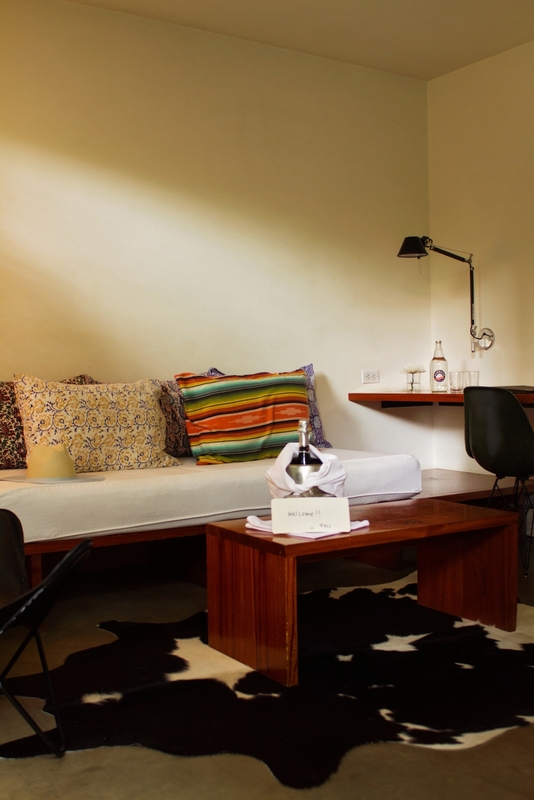 And if you can’t get to Hotel San Jose, try its sister property Hotel Saint Cecilia – definitely worthy of a Wear + Where + Well Recommends feature itself. Have you stayed at any of these properties? 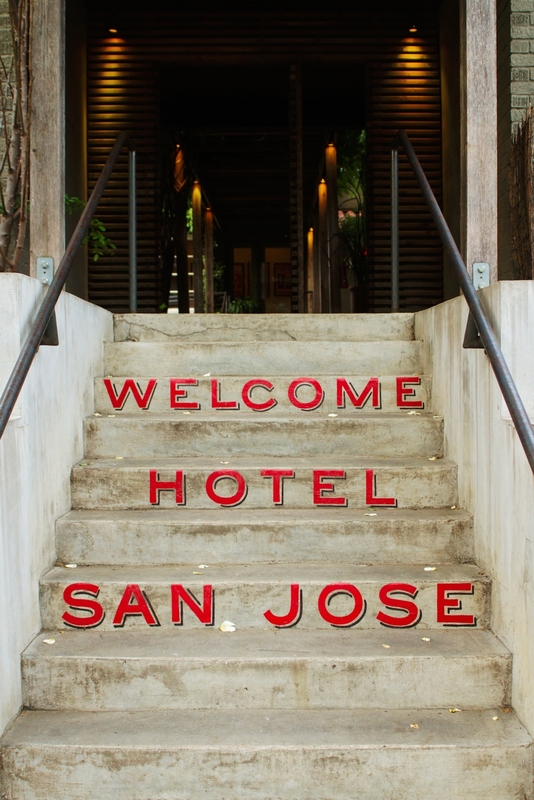 I’d particularly love to hear if you’ve stayed at Hotel San Jose. 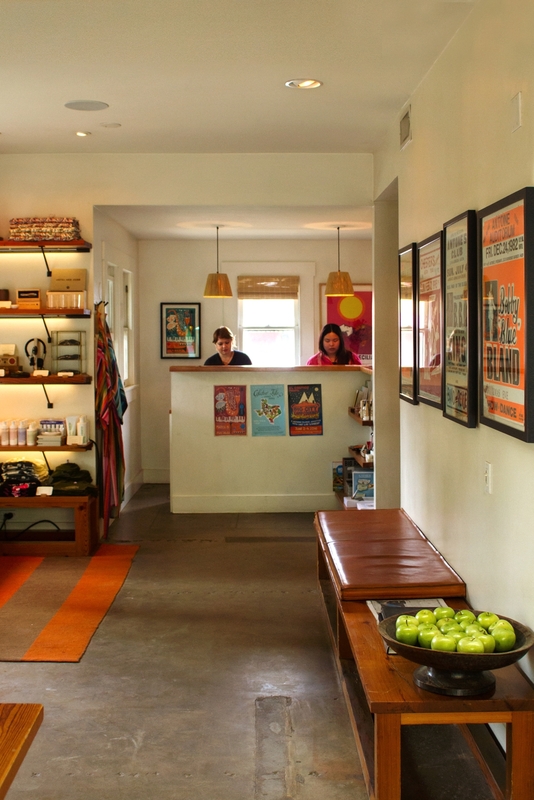 I myself am itching to visit Bunkhouse’s San Antonio and Marfa properties! Any questions for us? Ask away! Thanks as always for stopping by. Thanks, Ivana! I’m happy to share. Thanks, Bella! You definitely need to visit Austin. I have been wanting to check out this adorable place! Thank you for sharing… Your photographs are beautiful and they make me want to go even more now! Oh good! Thanks for stopping by, Bryn. The hotel is so charming and quaint. You’ll love it. LOVE this post!! You highlighted Austin so well!! 🙂 Miss you!